This interactive math notebook allows our sixth grade math students to write down math notes during class in an organized format. 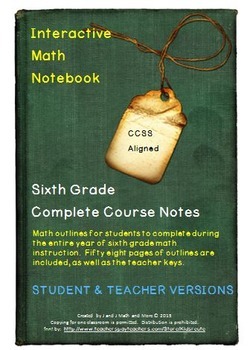 This notebook includes thirteen outlines – one for each of our thirteen sixth grade math units, for a total of 58 pages. These note outlines cover all of the sixth grade math common core standards, so you will be able to use them even if you do not use our units. Please look at the preview for a detailed table of contents for this product. This product includes two pdf files, a 58 page file for the students to complete throughout the year, and another pdf file that shows the teacher key. 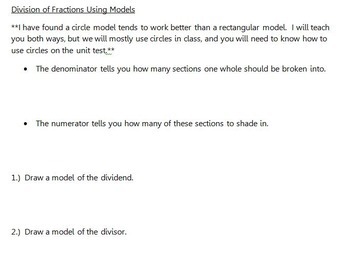 We use these interactive math note outlines as a way to meet all of our students’ needs. Pre-written for the student is the outline that can take so long to write in class. 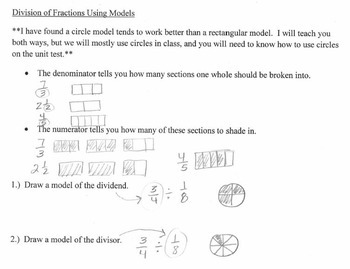 During math instruction, students are expected to write on their version of the notes what is found in the teacher version of these notes. The teacher may create additional problems for students to solve as a way to check for understanding in order to give students more practice, and to differentiate. The blank outlines can be copied and pasted into a math notebook/spiral for students to complete during class (which is what we do), or they can be projected for students to copy if that is easier for you due to paper restrictions. 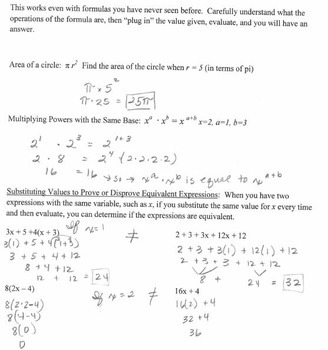 We hope you enjoy using these math note outlines!